The successful applicant must have a strong commitment to providing outstanding diagnostic service for colleagues within the CVM as well as for private veterinary practitioners and clients who submit diagnostic material through the VDL. Position responsibilities will include participating in biopsy and some necropsy pathology diagnostic services while training pathology residents and DVM students. A strong interest in surgical pathology is desired. Duties will also include frequent consultations with other VDL pathologists and faculty. The successful candidate will participate in advising, mentoring, and instruction of pathology residents and graduate students. There are opportunities to participate in teaching in the professional DVM curriculum if desired. The successful candidate will have responsibility for a portion of the VDL service/outreach activities, including marketing. Scholarly activity is expected including presentation at local, regional and national meetings, collaborative research, publication, and active participation in laboratory test development and innovation. A capacity to promote collegiality and cultural diversity are requisites of the appointee. Salary is commensurate with qualifications and experience. The VDL, one of the country's premier veterinary diagnostic laboratories, is a full-service, American Association of Veterinary Laboratory Diagnosticians-accredited laboratory, and is housed in a state-of-the-art facility comprising over 152,000 gross square feet of space. The pathology sections offer a comprehensive service, including necropsy (BL2 and BL3), clinical pathology, surgical pathology, and advanced molecular pathology to the MSU Veterinary Medical Center as well as to national and international clients. The MSU CVM is a major referral center for companion animals and horses as well as for livestock, laboratory, zoo, and wildlife species. 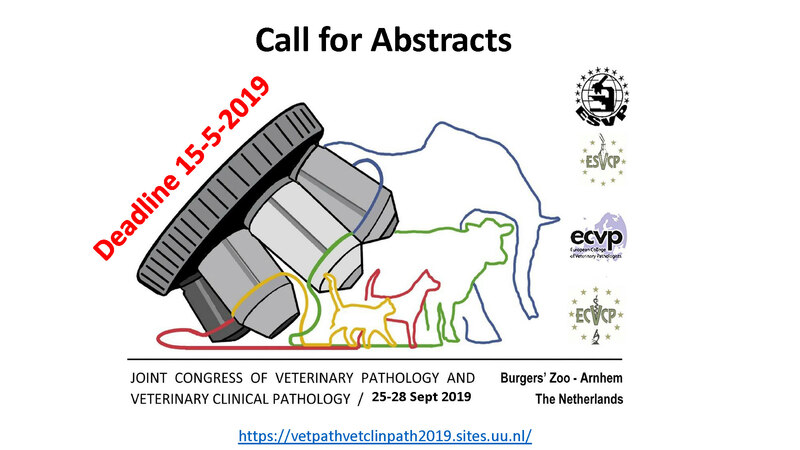 It has outstanding veterinary medical professionals and facilities, and it offers an excellent environment for professional growth and advancement in anatomic pathology. MSU has outstanding college-based and university-wide basic and translational research programs that provide ample opportunity for collaborative research with faculty of the CVM, and with those of the two human medical schools (College of Human Medicine and College of Osteopathic Medicine) on campus. Additional opportunities for collaboration exist close by at the University of Michigan, the Van Andel Research Institute, and other research centers. Intramural funding for research projects is excellent and available through a competitive research grant program in the CVM. A mentoring program is available to assist junior faculty in their professional development. MSU, the pioneer land-grant school, is one of the top research universities in the world where veterinary science has been taught since its 1855 founding. East Lansing’s collegiate atmosphere is complemented by low cost of living with convenient access to cultural centers such as Ann Arbor, Grand Rapids, Detroit, and Chicago. East Lansing and surrounding communities provide excellent public school systems. In addition, Michigan, the Great Lakes State, with its numerous inland lakes and rivers, state and national parks, national lakeshores, world-class golf courses, and ample snowfall offers a broad variety of seasonal outdoor recreational activities. Visit the Pure Michigan © website www.puremichigan.org for more details. To apply, go to: https://careers.msu.edu. Job number 446768. Applicants should submit their curriculum vitae along with the names and contact information for three professional references who will be asked to evaluate the candidate's diagnostic acumen, interpersonal and communication skills, research experience and potential, and teaching attributes. Candidates must also include a letter of intent specifying their qualifications, professional experience, career goals, history of funding, and statement of future collaborative research plans. Informal inquiries to the Search Committee Chair, Dr. Rebecca Smedley, are welcome (phone: 517-432-4803 or ). Review of applications will be initiated as of August 25, 2017 and continue until the position is filled.